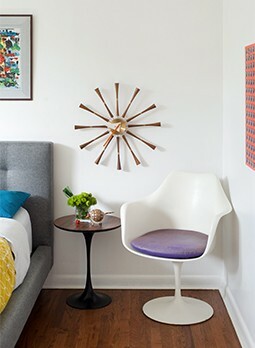 According to an article by John A. Burns and Dennis Carmichael in the spring 2010 issue of Modernism Magazine, Hollin Hills got it’s start in the late 1940s via Robert C. Davenport. He was a New Deal-era Department of Agriculture employee-turned-postwar Virginia builder and the quiet Beltway region, just 10 miles from D.C. gave him ample opportunity to explore his modernist vision. He transformed 326-acres of hills land near Alexandria, Virginia, into a modern subdivision. Partnering with architect Charles Goodman and landscape designer Dan Kiley, the subdivision emerged with with glass-enclosed homes afforded privacy by retained lush woodlands and carefully designed hedges. A thriving preservation effort exists within the community—manned by volunteers who oversee the neighborhood’s design review process. Bonus: Several homes from the neighborhood are currently on the market. 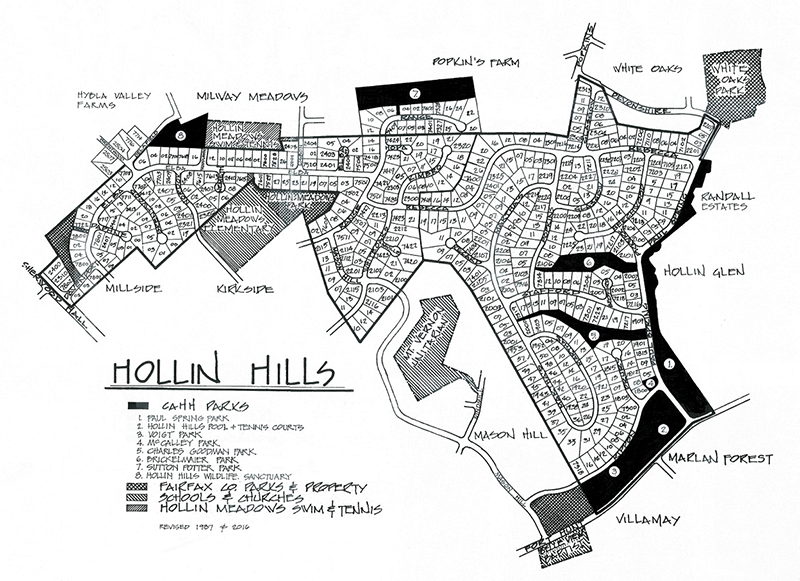 For more on Hollin Hills, visit hollinhills.net.